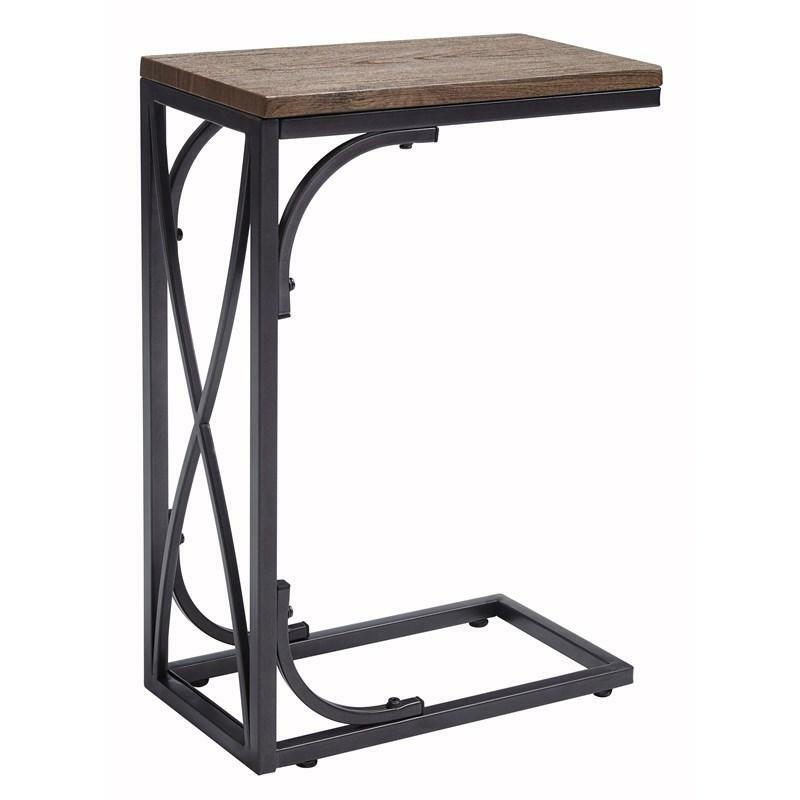 Slide into convenience with the modern Golander chairside end table. Its tubular metal base is designed with swiftness in mind. 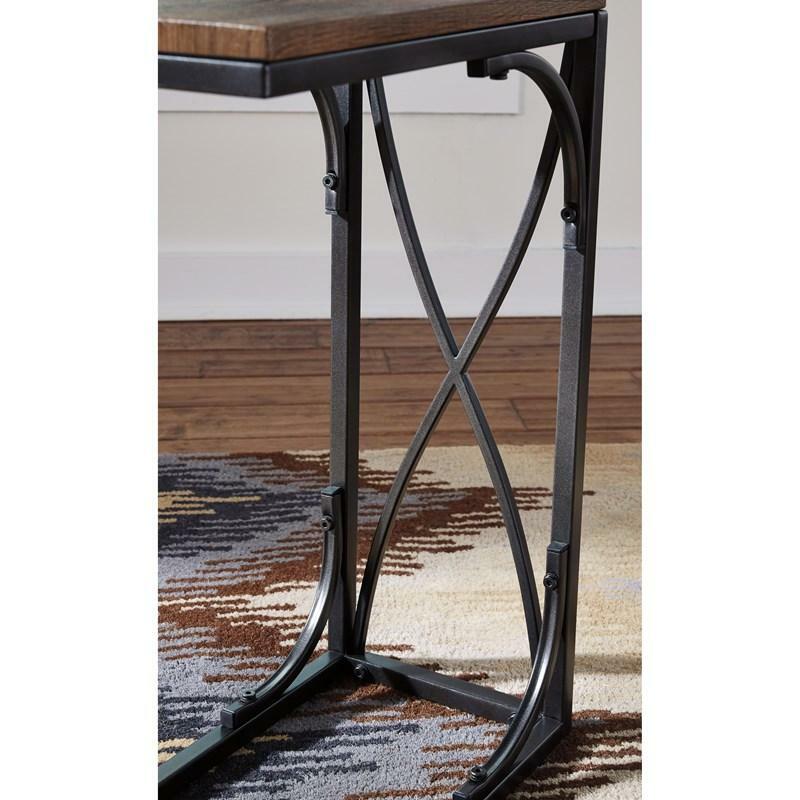 The top sits above the metal base with a curving "X" motif on the table's side—what a smooth look. Simply slide this table under the base of your chair or sofa and you'll instantly have a handy work surface or dining surface—perfect for meals in front of the TV and craft projects. Be sure to get more than one. 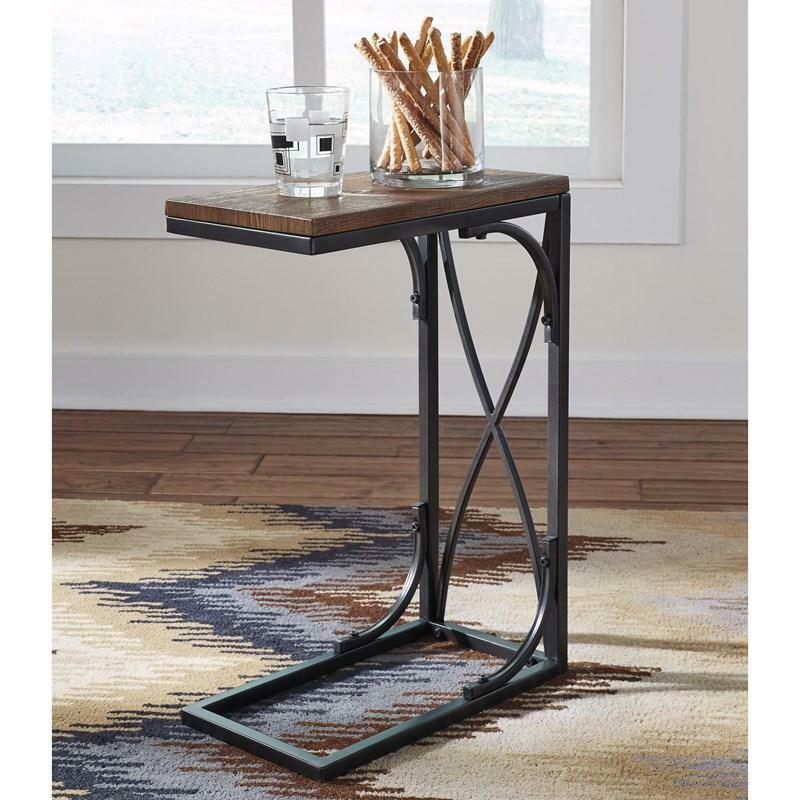 Everyone will want a table to enjoy. Volume 0.95 cu. ft. / 0.03 cu. m.